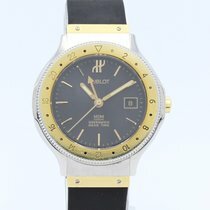 Hublot Greenwich Mean Time Automatic Steel, Ladies. Authenticity Guaranteed. 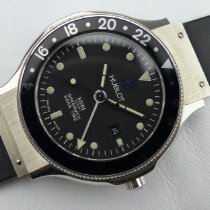 Purchase from one of Hublot's top-rated former representatives. Carrazza Jewelers has more than 30 years experience in the fine time piece industry, and has over its history worked with such established watchmakers as Hublot, Ulysse Nardin, Corum, Custos, Franck Mueller, Tutima, Cuervos y Sobrinos, and Pierre Kunz.